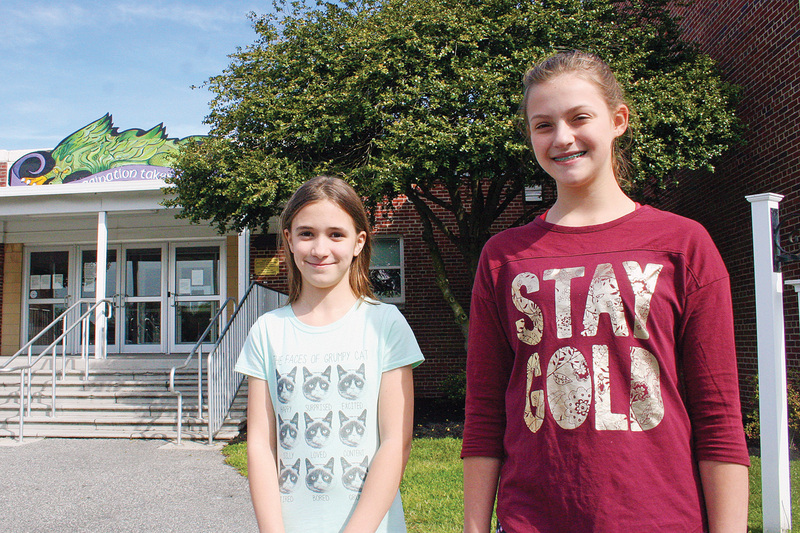 Fourth-grader Samantha Geidel, left, and Amelia Meyer, Grade 5, love making art at Southern Delaware School of the Arts. This month, their hard work paid off, as they won prizes in the annual Arbor Day School Poster Contest sponsored by the Delaware Forest Service. For this year’s theme, “Trees are Terrific … and Perfect for Pollinators!” the girls included butterflies, birds, bees and (of course) trees. Meyer was the statewide contest winner, from among 3,200 K-5 entries. Geidel was Sussex County’s winner for Grades 3 and 4. They’ll be honored by Gov. John Carney in Dover on May 4, and each winner receives a tree-themed book and a print reproduction of their poster on fine-art canvas and a free tree-planting ceremony at SDSA. Winning designs are online at http://delawaretrees.com/2018arbordaypostercontest.html.